Badr was the most heroic and memorable battle ever fought by the Muslims, who were faced with very heavy odds. There were 313 men, three horses, seventy camels, six or nine coats of arms and eight swords with Nabi SAW , while the Quraish had about 1000 men, 100 horses, 700 camels and were fully armed. The Quraish were so sure of their victory that they had brought with them musical instruments and female singers to celebrate the victory. Nabi SAW was very worried because of the heavy odds against him. 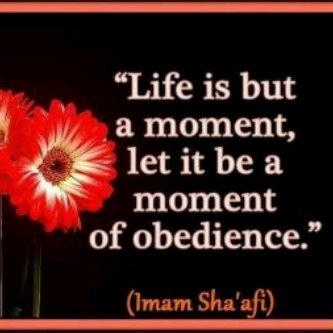 Nabi SAW made Dua to Allah SWT saying: "O, Allah! Your faithful slaves are barefooted, You and only You can provide them with animals to ride upon. They are naked, You and only You can clothe them. They are poor, You and only You can enrich them." Allah SWT accepted his Dua and gave the Muslims the most glorious victory. Death is the inevitable end to every living being. There is no difference in this between believers or non-believers, the young or old, the great or the simple person, the rich or the poor, the healthy person or the sick. The soul of all of them will be extracted, and they will die. They will go from this world to the world of Barzakh, which is the period, which starts with the extraction of the soul and ends with the Day of Judgment. What happens to a person when his soul is extracted? And what happens to him when he is buried in his grave? All of this is knowledge of the unseen, which no one can know by reasoning or observation. It is part of the Islamic faith, and we can learn about it from the Qur’an and the authentic hadith of prophet Muhammad (S.A.W. ), for he doesn’t speak on his own, but from inspiration from Allah (S.W.T). Every Muslim must learn the details of what happens in the world of Barzakh from the Qur’an and hadith of the prophet (S.A.W. ), so he will not add anything that is not authentic. Every Muslim must also realize that one must not compare this world’s laws to the world of Barzakh or the Hereafter. And one must not be astonished when we talk about the events that occur in the Hereafter. The believer must accept these facts as authentic and believe in the unseen and in the Hereafter. Allah (S.W.T) mentioned the Hereafter in the Qur’an and his prophet (S.A.W.) mentioned the Hereafter in the hadith for consideration and advising. Furthermore, our ignorance of this matter has a lot to do with our laziness towards our duties to Allah. 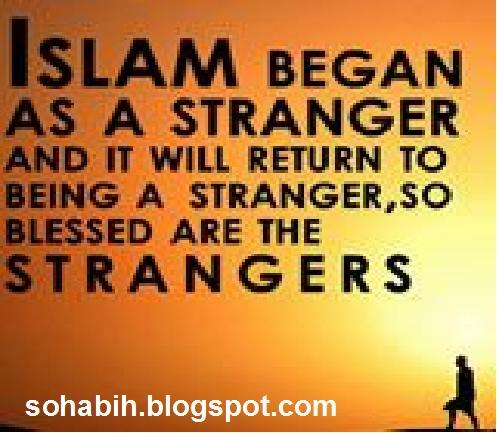 "We went out with Allah's Messenger (S.A.W.) with the funeral of a man of the Ansaar (The native residence of Madinah) and we came to the grave and the niche in the side of the grave (Al-Lahd) had not been dug out yet, so Allah's messenger (S.A.W.) sat and we sat around him as if we had bird upon our heads (very alert) and in his hand he had a stick with which he was striking the ground. "Seek Allah's refuge from the punishment of the Grave," two of three times. Then he said, "When the Believing servant is leaving this world and going on to the Hereafter, angels with bright faces -as if their faces were the sun - descend upon him. With them is a shroud from Paradise and perfume for embalming from the perfume of Paradise, so they sit away from him at the distance the eye can see and then the Angel of Death, (A.S.) comes and sits by his head and says, "O good soul, come out to forgiveness from Allah and His good pleasure." He said, "So it comes out (smoothly) just as a drop flows out from the mouth of the drinking vessel, and he takes it, but does not leave it in his hand even for the blink of an eye until they take it and place it in that shroud and that perfume, and there comes out from him a smell like that of the best musk found upon the face of the earth." Than the prophet (S.A.W.) continued, "So they ascend with it [i.e. the persons soul] and they do not pass by any group of the angels except that they say, "Who is this good and pure soul?" So they reply, "So and so, son of so and so," with the best of his names which he used to be called by in this world until they come with him to the lowest heaven and ask that it be opened for him, so it is opened for him, so they accompany him through every heaven to the next one until he is taken up to the seventh heaven, and Allah, the Mighty and Magnificent, says, "Write the record of my servant in "Elliyyoon (which is the place of the books of the believers. And Allah continues, return the soul to the earth to his body." So then two angels come to him and make him sit up. Then they say, "Who is your Lord?" 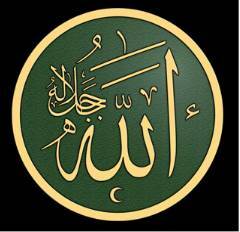 So he will say, "My Lord is Allah." So they say, "What is your Deen (religion)?' So he will say, "My Deen is Islam." So they say, "Who is this man who was sent amongst you?" So he will say, "He is Allah's Messenger." So they say, "How did you come to know that? " So he will say," I read the Book of Allah, and believed in it and attested to it." So a caller will call from heaven, "Indeed my servant has spoken the truth, so spread a place for him in Paradise, and open a door to Paradise for him." He said, " So some of its fragrance and scent comes to him and his grave is extended as far as the eye can see." Than the prophet (S.A.W.) continued," A person with a handsome face, beautiful clothes and good smell comes to him and says, "Receive good news which will please you. This is the day which you were promised." So he says to him, "Who are you? Since your face appears to signify good." So he says. "I am you righteous deeds." He therefore says, "O may Lord, establish the Last Hour, O may Lord establish the Last Hour- so that I may return to my family and wealth." The prophet (S.A.W.) continued, "But when the unbelieving servant is leaving this world and going onto the Hereafter, angels with dark faces descend upon him, with them are coarse sack-cloth, and they sit at a distance from him as far as the eye can see. Then the Angel of Death comes and sits by his head and says," O foul soul, come out to Allah's displeasure and anger." So the soul spreads throughout his body, so he drags it out just as a pronged roasting fork is pulled through wool. So he takes it, but just as a pronged roasting fork is pulled through wool. So he takes it, but does not leave it in his hand for the blink of an eye until they put it in those coarse sack-cloths. Then there comes from him an offensive stench like that of the foulest smelling corpse rotting upon the face of the earth. "For them the gates of heaven will not be opened, and they will not enter Paradise until the camel goes through the eye of the needle (Which is impossible)." And the prophet (S.A.W.) continued, "Allah, the Mighty and Magnificent, says, "Write his record in (Sejjeen) within the lowest earth." Then his soul is flung down, Then Allah's Messenger (S.A.W.) recited (verse 31 from surat Al-Hajj), what can be translated as, "…And whoever assigns partners to Allah, it is as if he had fallen from the sky, and the birds had snatched him, or the wind had thrown him to a far off place." 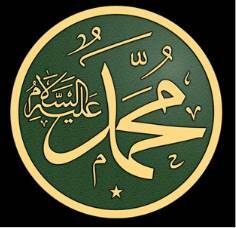 The prophet (S.A.W.) continued, "A man with an ugly face, unsightly clothes and smelling offensively comes to him and says, "Receive news of that which will grieve you, this is the day which you were promised." So he will say, "Who are you? Your face is ugly and seems to signify evil. "So he will say, "I am your evil deeds." So he will say, "O May Lord, Do not establish the Last Hour. "